Woods or Hogan: Which is golf's greatest comeback? 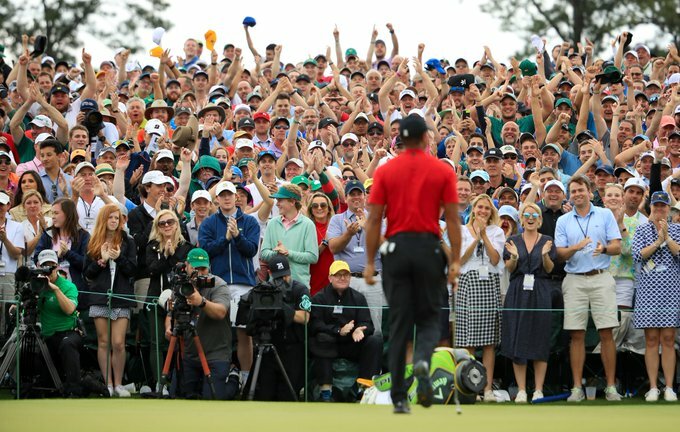 Tiger Woods’ win at The Masters after an 11-year break between Major victories has been resoundingly hailed as the greatest comeback ever, but what about the staggering return to golf of Ben Hogan? He returned to golf last year after a fourth back surgery, this time to fuse his spine in a bid to return to competitive golf. Before that came infidelity and a very public breakdown and a break from golf. 11 years passed between his last Major and Sunday’s triumph, and 14 between his fourth Green Jacket and his fifth; just two years after telling Jack Nicklaus he was ‘done’. As a student of the game, Woods knows all about what Hogan had to overcome to simply walk again, let alone return to golf and win six of his nine major titles, including all three he could contest in 1953. Hogan and his wife Valerie survived a head-on collision with a Greyhound bus in February 1949, an accident that left the 36-year-old Hogan in hospital for two months with a double fracture of the pelvis, a fractured collar bone, a left ankle fracture, a chipped rib, and near-fatal blood clots.